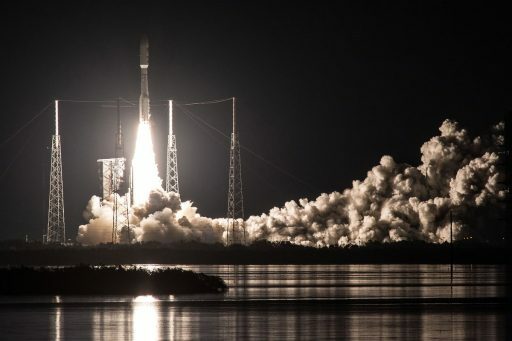 Lighting up the skies over Florida’s Cape Canaveral, Atlas V swung to the south-east and traversed half the globe over a three-and-a-half-hour mission, in the process firing its upper stage three times to successfully send the GOES-R craft on its way. The 5,200-Kilogram GOES-R is considered the most powerful meteorological satellite in the world, carrying a suite of six instruments that promise to revolutionize weather forecasting and climate science – scanning the Earth five times faster than current satellites, offering four times the resolution and expanding the spectral coverage by a factor of three – and that is just for the satellite’ primary Earth-watching instrument. 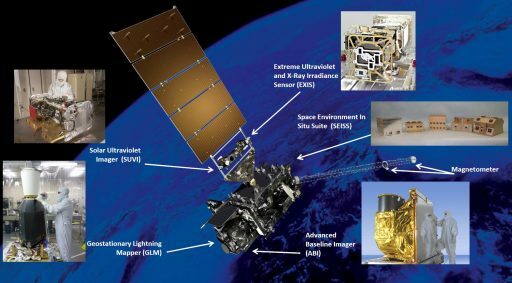 For the past 40 years, the Geostationary Operational Environmental Satellites (GOES) built the backbone for weather forecasting in the United States, watching the Earth from a high-altitude perch 36,000 Kilometers above the equator. 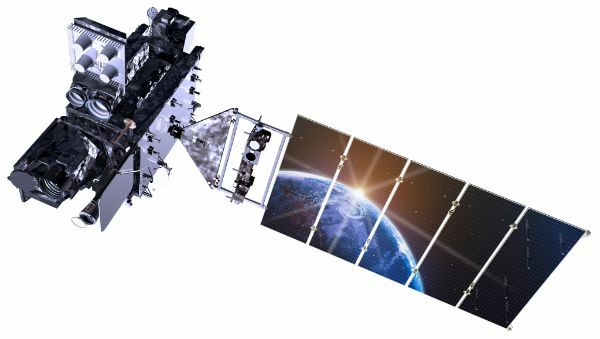 The inauguration of the GOES-R class satellites is considered a major leap likened to upgrading from black-and-white to high-definition color television in terms of data quality and usability. 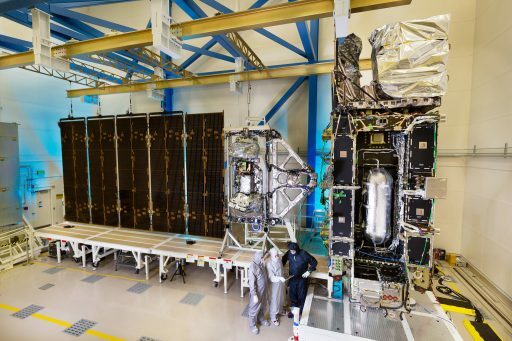 Data delivered by GOES-R’s instruments promises to safe lives on Earth by enhancing the ability to generate more accurate weather forecasts, better predict hurricane tracks and cut false tornado warnings in half. The fourth-generation GOES project comes with a price tag of $11 billion covering the the GOES-R, S, T and U satellites as well as an all-new ground segment to tackle a virtual flood of data coming from the new satellites that has to be processed into near real-time products to enable the benefits expected from the new satellites. Known as ABI, or Advanced Baseline Imager, the primary Earth-pointed instrument of the mission delivers data equivalent to over 200 HD movies every day, scanning the entire visible disk of Earth every five minutes and focusing in on hurricanes or other storm systems every thirty seconds. Each scan collects data in sixteen spectral channels as opposed to five in heritage systems, delivering a wealth of parameters on Earth’s surface, clouds and different atmospheric parameters such as rainfall rates and winds. ABI generates 95% of total data coming from the satellite, delivering imagery at an unprecedented resolution of 0.5 Kilometers in the visible bands and 1 to 2 Kilometers in infrared. A full disk image of Earth is taken every five minutes compared to 26 minutes on the current system with the additional capability of focusing in on fast-changing phenomena up to 1,000 Kilometers in size and collecting one frame every half minute. Because ABI can fulfill the function of an atmospheric sounder – flown as separate instruments on previous GOES satellites – a free slot was available on the GOES-R Earth-Pointing Platform. This slot is filled by the Geostationary Lightning Mapper – a new instrument tasked with detecting lightning at all times of day across the entire Western hemisphere – providing real-time insight into the formation of storms. Getting real-time lightning maps to forecasters will significantly enhance warning reliability and lead time for tornado outbreaks and other severe weather. GLM uses a unique approach of capturing 500 frames every second and comparing each image pixel to an average of previous pixel values to pin-point cloud-to-cloud and cloud-to-ground lightning with an accuracy of ten Kilometers, also covering areas where no ground lightning detection is available which is of particular importance to aviation over the open ocean. 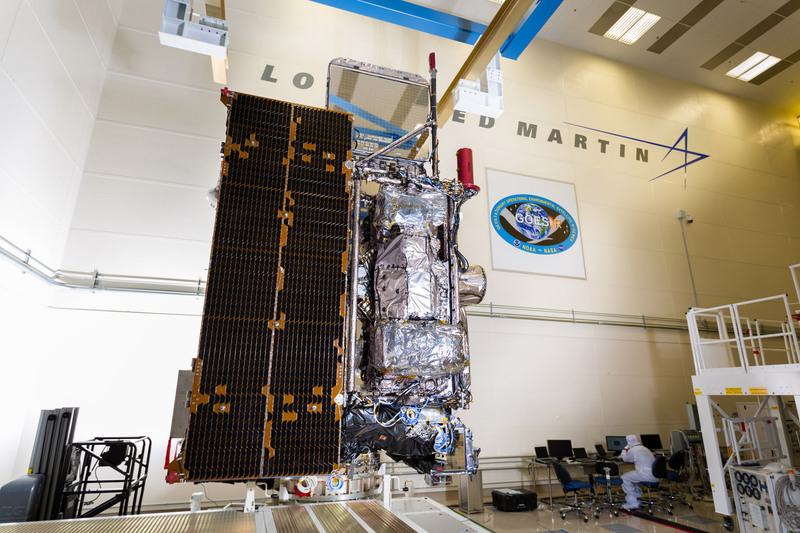 GOES-R also introduces vastly improved solar instruments that watch over the sun’s ultraviolet and X-ray emissions to monitor coronal mass ejections and solar flares to predict space weather phenomena that can impact satellite communications, navigation and power grids on Earth. The two solar-pointed instruments deliver full-disk images of the sun in six ultraviolet bands plus spectral data in the extreme-UV and X-ray range to characterize active regions on the sun and predict proton events. Two in-situ instruments on GOES-R measure the particle and electromagnetic environment in Geostationary Orbit and provide the first measurement of an incoming space weather event while also monitoring electrostatic discharge and radiation hazards that can be harmful to satellites and astronauts. Getting the six-meter tall GOES-R satellite into orbit required ULA’s Atlas V to fly in its beefed-up 541 version with four Solid Rocket Boosters and a five-meter payload fairing housing the satellite. The launch of GOES-R had to be pushed from an early November target due clean up required after Hurricane Matthew’s close brush past the Space Coast as well as a technical issue that cropped up on the Atlas V booster lifting the WorldView-4 satellite from the West Coast and was also found on this booster. The 62-meter Atlas V rocket was moved to the launch pad at Space Launch Complex 41 on Friday and entered its launch countdown at 15:52 UTC on Saturday. 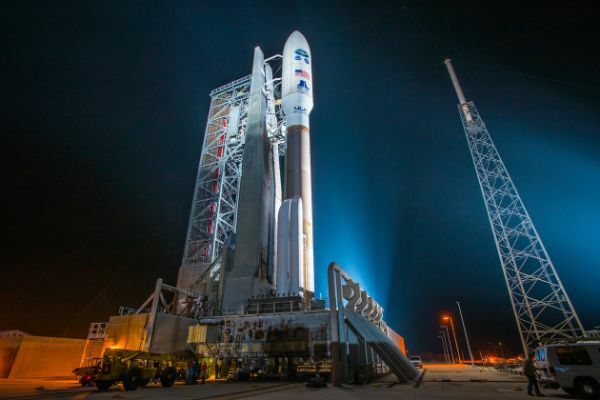 Most of the seven-hour countdown went without a hitch beginning with several hours of checkouts of the various launch vehicle systems ahead of the initiation of tanking two hours before the planned launch time to load the two-stage stack with cryogenic propellants. 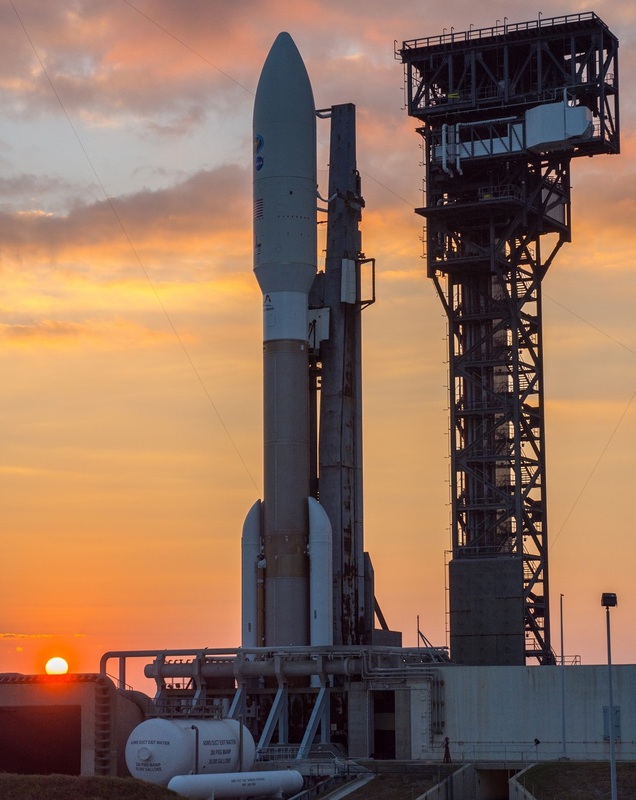 Atlas V stood quietly atop its pad, filled with over 300 metric tons of propellants, as the sun set over the Space Coast and teams were about to conduct the final status check ahead of a 22:42 UTC launch at the opening of the day’s hour-long window. However, polls were deferred when a potential issue was brought forward to the launch team. On another of ULA’s launch vehicle, a potentially suspect component related to the Centaur upper stage was identified and teams decided to proceed with caution and examine whether the Atlas V sitting atop the launch pad could also suffer from the same condition. 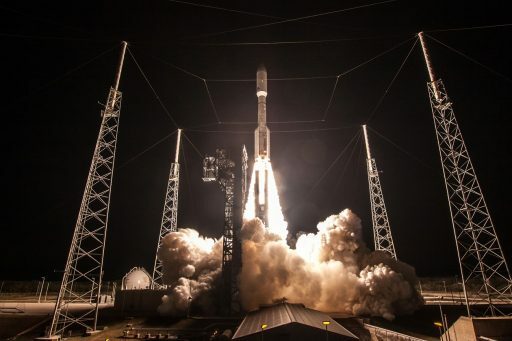 Liftoff was pushed in five-minute increments while engineering teams made the determination that the indication seen in the other vehicle was a false positive and Atlas V could proceed with liftoff. In a turn of bad luck, the eastern range went RED just at the time the engineering team was ready to give the all-clear. The Atlas V launch team decided to take it down to the wire and set T-0 for the closing minute of the day’s launch window and proceed with taking the GOES satellite to internal power to be ready for liftoff. A GREEN status was obtained from the Range after resolution of their issue on another Cape Canaveral pad and all other support stations were also able to report a GO for liftoff, permitting Atlas V to enter the final four minutes of the countdown to transition to its hot liftoff configuration. Atlas V rumbled to life three seconds before liftoff when the two-chamber RD-180 engine ignited and soared to 392 metric-ton force of thrust. Upon ignition of the four boosters at 23:42 UTC, Atlas V jumped off its pad with a thrust of 1,080 metric ton force – catapulting the rocket skyward with an initial thrust to weight ratio of 2.0. Less than five seconds after launch, Atlas V pitched and rolled onto a south-easterly course to attain the standard route to Geostationary Transfer Orbit, pushing through the sound barrier just 36 seconds after liftoff and throttling the RD-180 back for a brief moment as the rocket passed Maximum Dynamic Pressure 49 seconds into the mission. 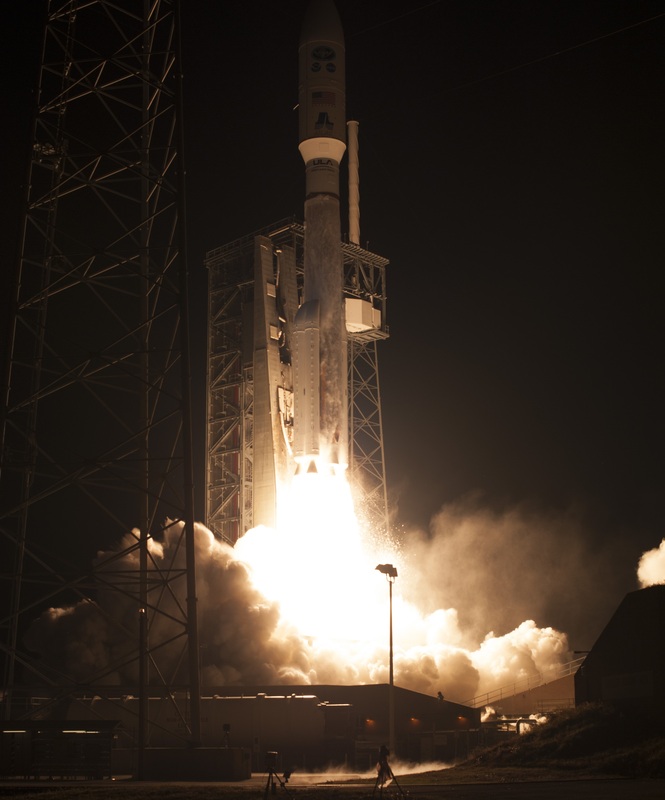 The four Aerojet Rocketdyne Solid Rocket Motors tailed off at T+94 seconds after each consumed 41 metric tons of propellants to lift Atlas V off the ground and deliver the necessary kick to get the heavy satellite into orbit. 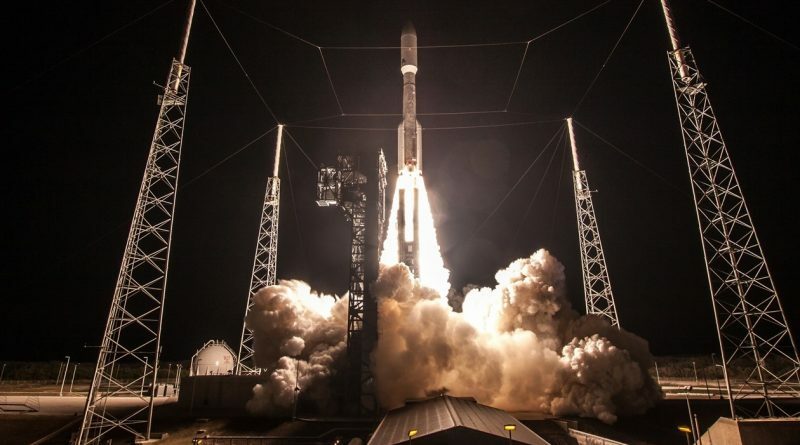 The 17-meter long boosters dropped away in pairs one minute and 50 seconds into the flight and Atlas V continued on toward space powered by the Russian-built RD-180 alone. GOES-R was revealed three and a half minutes after launch when the two payload fairing halves split open and separated to shed no-longer-needed weight as Atlas V had reached space by this time. RD-180 again throttled back as Atlas V approached the end of the first stage burn after consuming 284 metric tons of Liquid Oxygen and rocket-grade Kerosene. 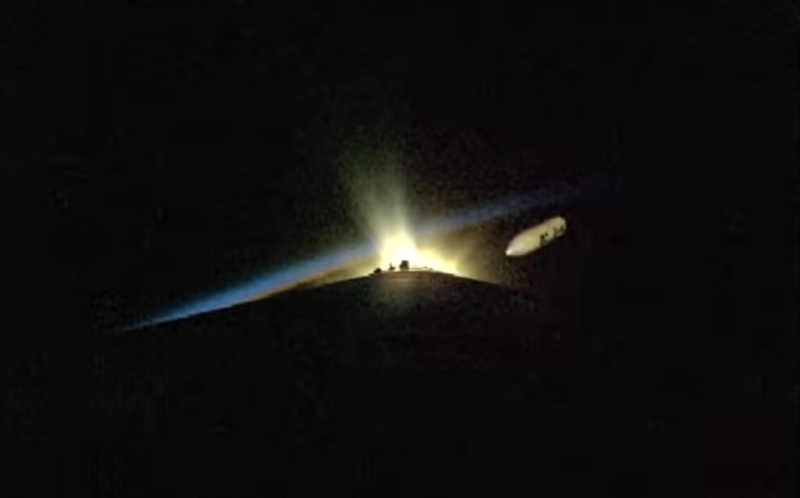 Shutdown of the RD-180 engine, occurring around four minutes and 23 seconds into the flight, was followed by the pyrotechnic separation of the spent booster that pulled away by firing retrorockets to clear the Centaur upper stage. Now in charge of a long trip to GEO-transfer orbit, Centaur ignited its 10,200-Kilogram RL-10C engine four and a half minutes into the mission to push the stack into an initial parking orbit. The GOES-R mission used the more complex three-burn GTO mission profile offered by Atlas V to deliver spacecraft closer to their operational orbits to cut fuel expended by the satellite during the climb to Geostationary Orbit. This profile calls for an initial burn by Centaur to put the stack into Low Earth Orbit, a short coast phase ahead of an apogee-raising maneuver around the first equator passage and a long coast to a short third burn that accomplishes the injection into a GTO with increased perigee and reduced inclination. Centaur’s hydrogen-fueled RL-10 fired for seven and a half minutes and achieved a 167 by 540-Kilometer orbit, inclined 28 degrees for a coast of close to ten minutes to continue on the south-easterly trek to reach the equator. The engine re-started 22 minutes after launch and burned for five and a half minutes, injecting the stack into an elliptical orbit of 187 by 32,717 Kilometers, 25.7° for a lengthy climb close to the equator. Centaur spent three hours in passive flight, completing thermal-conditioning maneuvers while slowly making its way up to a position close to the high-point of the orbit where a propulsive impulse would raise both, the perigee and apogee of the orbit. The third burn started three hours and 27 minutes into the flight and was timed to 93 seconds to raise the apogee close to Geostationary Altitude, bring up the perigee by nearly 8,000 Kilometers and shave off 15 degrees of inclination by firing the engine out of plane. GOES-R aimed for an insertion orbit of 8,099 by 35,286 Kilometers, inclined 10.6° and the Atlas V navigation system showed a very close injection was achieved at 8,137 x 35,290km, 10.62°. GOES-R was sent on its way three hours and 32 minutes after launch and applause erupted at the Launch Control Center as Atlas V checked off its 68th successful flight. 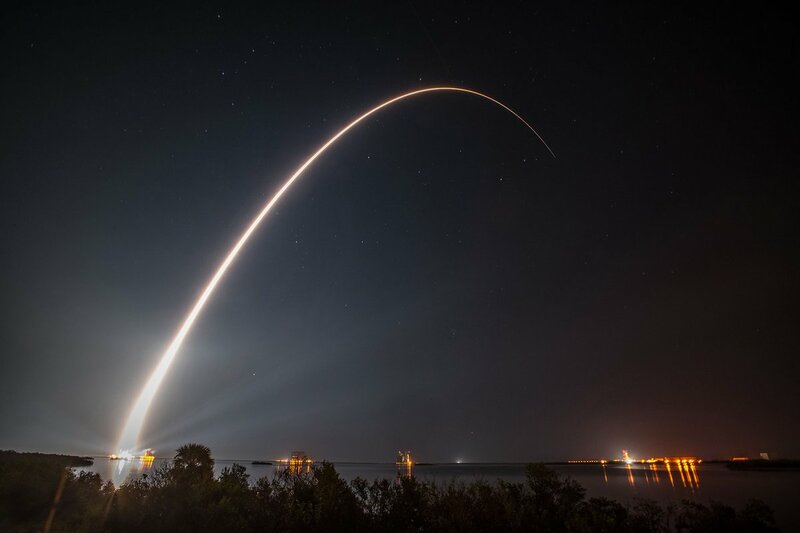 Saturday night’s mission was the seventh Atlas V launch in 2016, the fourth launch of the 541 configuration and the 649th launch of a vehicle named Atlas, dating back to the very beginnings of American space exploration. One more Atlas V is on the manifest for this year, set for launch on December 16 with the EchoStar 19 communications satellite. Slowly drifting away from the Centaur Upper Stage, GOES-R completed the first steps of a mission of at least 14 and up to 20 years. 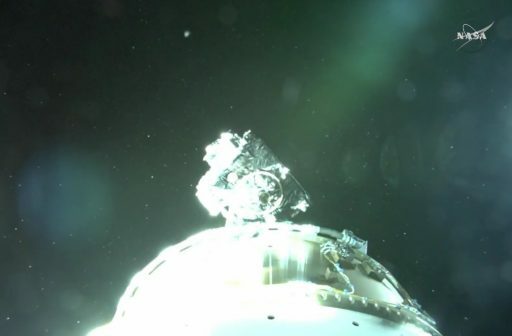 The partial deployment of the satellite’s single power-generating solar away was commanded six minutes after separation followed at T+4 hours by the acquisition of two-way telemetry and command communications. If all core systems of the satellite are in good health, GOES-R will proceed with testing of its reaction control system thrusters before entering its orbit-raising campaign with five burns planned between Flight Day 2 and 8 followed by another six days of drifting and fine maneuvering to acquire the planned 105° West location in Geostationary Transfer Orbit. GOES-R is set for a full year of commissioning and testing to achieve the stringent requirements of the mission that call for an unprecedented downtime of only 120 minutes per year and data availability within the shortest time after acquisition.